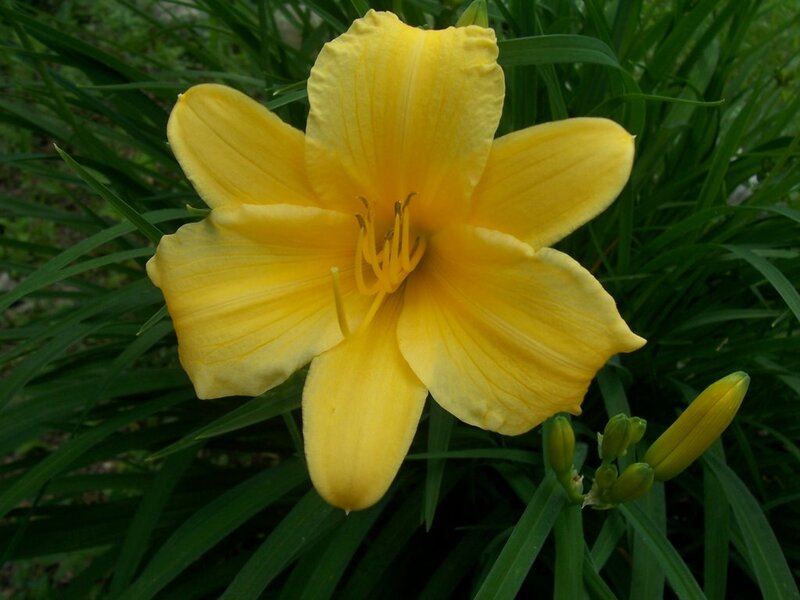 One of the joys of summer is the blooming of our many yellow Day Lily plants. As you can see in the picture, a number of other buds are about to bloom. 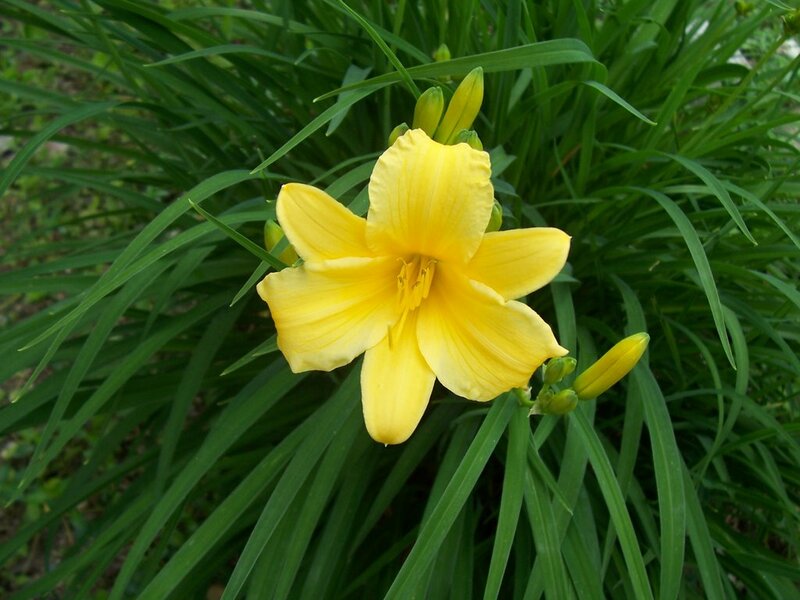 We must have about 12 Day Lilies around our home...the front, by the mail box, along side, and in the rock garden. For me Day Lilies are time-released, botanical fireworks. Their green blades bursting out of the ground now exploding (in slow motion) their yellow flowers in radiant brightness. In a few days I'll post another picture when the Day Lilies are making a loud ruckus of color with their gorgeous blooms. I think they'll bring a smile to your face. 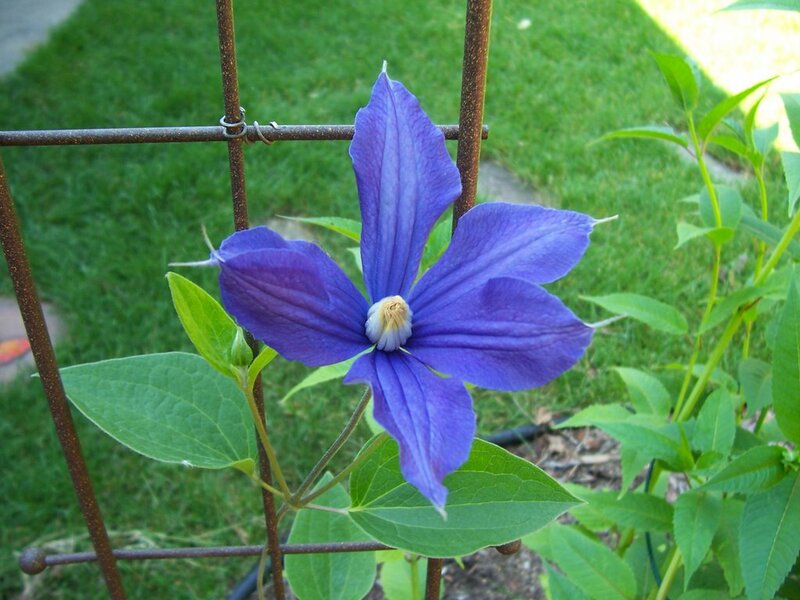 The purple-blue Clematis, on the other hand, is an only child. We have one plant by the deck. 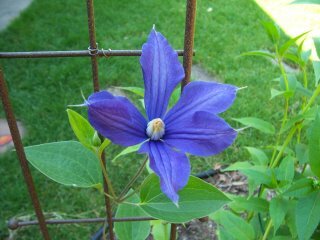 But what the Clematis lacks in quantity it makes up in sheer, simple beauty. A botanical "blue star" shining in the daylight. What awesome beauty! Should we be surprised!?! Beautiful pictures, John. Scot and I had a little landscaping done this spring, and we are really enjoying the beauty of it all. My part is to buy some hanging plants and pots of flowers (not too difficult - ha!) to add the beautiful colors. Anyway, you are enjoying your flowers as are we! Julie and I don't know what it is exactly about getting older that causes us to appreciate and enjoy plants with all their variety of colors. It is fun, though. I put out jasmine and honeysuckle this year but that's about as ambitious as I've gotten. I love your photos though. Makes me jealous. Tis not only the heavens that declare the glory of God. Nice pics - thanks for the refreshment.